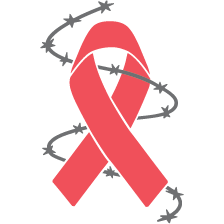 We strive to provide community development, education and support to prisoners and ex-prisoners provincially in Ontario and federally regarding HIV, Hepatitis C (HCV) and around whole health and harm reduction. PASAN formed in 1991 as a grassroots response to HIV in the Canadian prison system. PASAN is working with Red Dress Productions to offer a community engaged art project for people who have experienced incarceration. The Art to Power Resiliency Initiative will enable ex-prisoners to forge pathways to explore their experiences, challenges, and resilience through collaborative creative engagement in a judgement-free community setting, which we believe will support reintegration into community life. We are currently looking to hire someone to head up this project, take a look at the job posting here! We welcome everyone to join in a weekly sharing circle, every Thursday at Allen Gardens from 11am - 1pm. Tokens, light snacks and beverages will be provided.